From time to time, we’ll interview donors who are making a difference at UMBC. 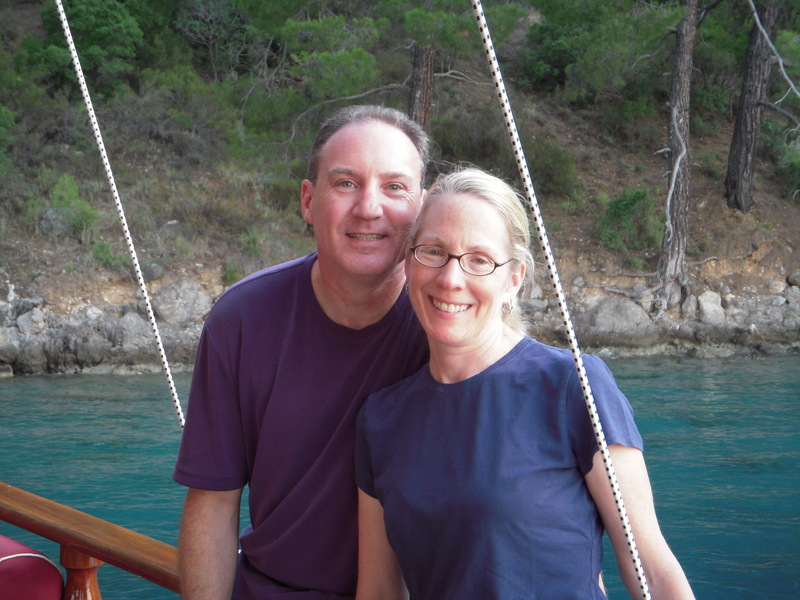 Today, we’re talking with Ira Steven Allen ’81, biological sciences, and Elizabeth Ward Allen ’82, political science, who fell in love with track and field — and each other! — during their time together as students. The couple established the C. James Pfrogner Endowment April 1998 (and amended in March 2002) to honor their former coach and support both the men’s and women’s track and field programs at UMBC. Ira and Liz Allen enjoying time on the water. Q: What made you decide to make your planned gift to UMBC, and how does that decision relate to your experiences here as students? A: At UMBC, we received a terrific education and had great fun at the same time. We also had the good fortune to be members of the track and field team under coach Jim Pfrogner, who taught us alot about always giving your best and achieving your goals through hard work and perseverance. The lessons we learned, both in the classroom and on the track, prepared us extremely well to be successful in life. A number of years ago, we started an endowment fund for the benefit of the track and field program because we wanted to give something back to UMBC, something significant and something perpetual, as a way to show our appreciation for how much our college experience meant to us. Q: Could you share a favorite memory or two from your time here? 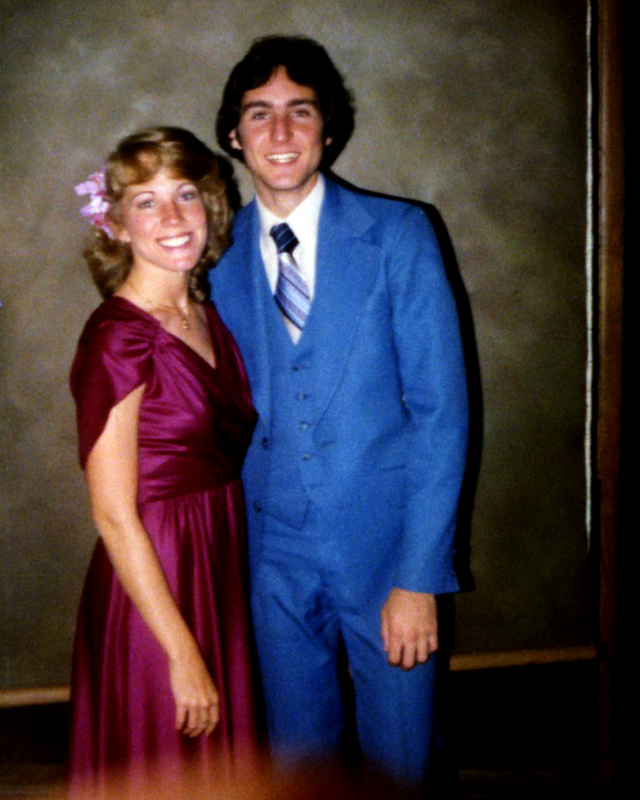 A: Besides our track and field experiences, we have many “favorite” memories of our time at UMBC, the most important being when we met each other and began a relationship that has been going strong for 34 years. Other special memories are Thursday night parties in the basement of “Dorm III”, studying for the MCATs in the same basement room until the wee hours of the morning, decorating Ira’s dorm room on the “Yippee Dog” floor while Styx and Boston play at full volume, and meeting many people we still call friends today. Q: How do you hope your support will make UMBC a better place? A: UMBC has grown in many ways since we graduated in the early 80’s. Freeman’s vision and accomplishments have raised the University to a lofty level. UMBC is now on the national radar as one of the best Universities in the country. Of course, track and field was never the “glamour” sport that received the attention and major funding of, say, lacrosse or basketball. We wanted to help the track and field program grow and advance to a level that matched the prestige of the rest of the University, so we decided to add the endowment fund as a beneficiary in our will. Our hope is that, one day, the track and field program will be so independently well-funded that it will be the envy of college sports programs throughout the region, joining other stellar UMBC programs and academic achievements that shine in the national spotlight. Thank you to the Allens for all they do! Want to share your own giving story? Contact Jenny O’Grady at jogrady@umbc.edu.